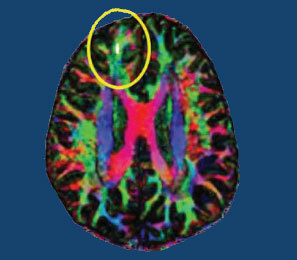 DTI brain scan can show damage to white matter following a concussion. Many people suffer problems with mental functioning after an apparent concussion (otherwise known as mild traumatic brain injury, or mTBI) that does not show abnormalities on traditional brain imaging measures such as the MRI. New technology called diffusion tensor imaging (DTI) shows that the integrity of white matter tracts may be disturbed by concussions. White matter comprises parts of the brain where myelin wraps around axons, as opposed to grey matter, which reflects the presence of neuronal cell bodies. In a longitudinal study published in the Journal of Neurotrauma, Vigneswaran Veeramuthu and colleagues compared 61 people with an mTBI to 19 healthy controls. The mTBI participants had their neuropsychological faculties assessed an average of 4.35 hours after their trauma, and participated in DTI scans an average of 10 hours after the trauma. Both the neuropsychological assessment and the DTI scan were repeated six months later. When the acute and follow-up assessments were compared to the same assessments in control participants, the two groups showed differences in numerous white matter tracts at the six-month mark. There was also an association between the degree of abnormality observed on the DTI scans and decrements in performance on the tests of neuropsychological functioning both immediately after the trauma and six months later. In a longitudinal study of 1,037 people born in Dunedin, New Zealand in 1972 and 1973, most participants with attention deficit hyperactivity disorder (ADHD) in adulthood did not have the disorder as children. The study by Terrie E. Moffitt and colleagues in the American Journal of Psychiatry is the first prospective longitudinal study to describe the childhood of adults with ADHD. When the study participants were children, about 6% were diagnosed with ADHD (mostly males). These children also had comorbid disorders, neurocognitive deficits, multiple genes associated with risk for ADHD, and some life impairment when they reached adulthood. 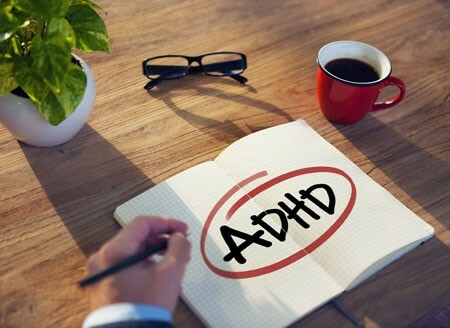 In adulthood, about 3% of the participants had ADHD (roughly equal between men and women), and 90% of these participants had no history of ADHD in childhood. The participants with ADHD in adulthood also had substance dependence and life impairment, and had sought treatment for the disorder. The researchers were surprised to find that these participants with adult ADHD did not show neuropsychological deficits in childhood, nor did they have the genetic risk factors associated with childhood ADHD. If the findings of this study are replicated, researchers will have to rethink the current classification of ADHD as a neurodevelopment disorder that begins in childhood, and begin to determine how adult ADHD develops. Editor’s Note: Before the publication of this article, most investigators (including this editor Robert M. Post) thought that virtually all ADHD in adulthood evolved from the childhood disorder, and if it did not begin in childhood, the diagnosis was suspect. 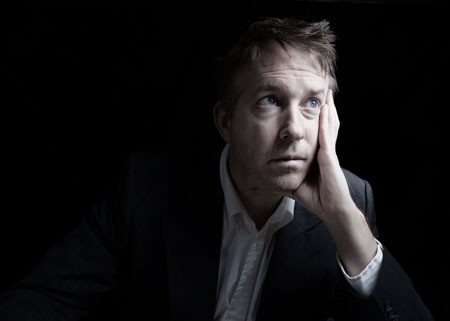 I still believe the ADHD that appears in adulthood in patients with bipolar disorder is likely attributable to residual depression and anxiety or hypomania and that more concerted treatment of the patient to full remission will often result in much better attention, concentration, and ability to follow through and stay on task. 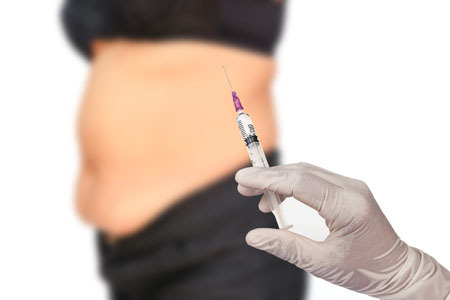 Liraglutide, an injectable drug used to treat Type 2 diabetes, has been approved by the Federal Drug Administration for the treatment of obesity. The drug is newly formulated in recommended doses of 3mg/day under the brand name Saxenda. Liraglutide is suggested for adults with a body mass of 30 or above, or 27 and above with other weight-related conditions such as hypertension, diabetes, or high cholesterol. In clinical trials, out of 3,731 participants without weight-related comorbid conditions, 62% of those who received liraglutide lost at least 5% of their body weight, compared to 34% of those who received placebo. Of the 635 participants with Type 2 diabetes, 49% of those who received liraglutide lost at least 5% of their body weight, compared to 16% of those who received placebo. In the 422 participants with other weight-related comorbidities, 42% of those taking liraglutide lost 5% or more of their body weight compared to 21.7% of those on placebo. There were also some improvements in risk factors for cardiovascular disease in people taking liraglutide. Liraglutide affects appetite regulation, leading to reduced calorie intake that produces weight loss. The treatment is delivered in a pre-filled multidose pen that can be injected in the abdomen, thigh, or arm. Dosing begins at 0.6 mg/day to minimize unwanted gastrointestinal effects. Despite repeated studies, including meta-analyses, showing that antidepressants that work in unipolar depression do not work in bipolar depression as adjuncts to mood stabilizers, antidepressants remain widely used for the treatment of bipolar depression. A recent study of the antidepressant agomelatine has shown that it is not effective in bipolar depression. In patients taking lithium or valproate but still depressed, agomelatine was no better than placebo at reducing depression. Agomelatine has an unusual mechanism of action (blockade of 5HT-2C receptors and activation of melatonin M1 and M2 receptors) that helps normalize sleep and circadian rhythms, but only in unipolar depression. Until this study by Lakshmi Yatham and colleagues in the British Journal of Psychiatry, it was thought that these properties would make the drug ideal for bipolar depression. Three atypical antipsychotics are have been approved by the Federal Drug Administration for bipolar depression: quetiapine (Seroquel), lurasidone (Latuda), and the olanzepine-fluoxetine combination Symbyax. These, used alongside mood stabilizers (lithium, valproate, carbamazepine, and lamotrigine) are more effective treatments for bipolar depression. There are other adjunctive treatments that may be helpful, such as the antioxidant N-acetylcysteine, vitamin D3, and folate. Earlier research has shown that childhood adversity is linked to earlier age of onset of bipolar disorder and more difficult course of illness. Physical and sexual abuse are associated with both earlier age of onset and more difficulties such as anxiety disorders and substance abuse. Now, new research by this editor (Robert M. Post) and colleagues links verbal abuse (even in the absence of physical and sexual abuse) to earlier onset of bipolar disorder and to more severe and complicated course of illness. The study, published in the journal Bipolar Disorders, was based on the self-reports of 634 adult outpatients with bipolar disorder at four sites in the US. These participants were interviewed about their history of illness and the frequency of adverse events they experienced in childhood, adolescence, and adulthood, including physical, sexual, and verbal abuse. Twenty-four percent of these participants reported having experienced verbal abuse occasionally or frequently in childhood, but not other forms of abuse, while another 35% had a history of verbal abuse as well as physical or sexual abuse, for a total of 59% with a history of verbal abuse. The greater the frequency of verbal abuse in childhood, the earlier the average age of onset of bipolar disorder. Participants with no history of abuse had a mean age of onset of 20.6 years, but verbal abuse by itself reduced the mean age of onset to 16.5 years, and verbal abuse plus sexual abuse reduced the mean age of onset to 15.3 years. (The mean age of onset for participants who experienced sexual abuse alone was 17.5 years.) It was impossible to determine the combined effect of verbal and physical abuse because verbal abuse was almost always present when physical abuse occurred. For the 14% of the participants who had experienced verbal, physical, and sexual abuse in childhood, the mean age of onset of bipolar disorder was 13.1 years. Those who were verbally (but not physically or sexually) abused in childhood had more anxiety disorders, drug abuse, and rapid cycling than those who were not abused, but not more alcohol abuse. Those who were verbally abused also showed increasing severity of illness, including increased frequency of cycling. Genetics can also play a role. 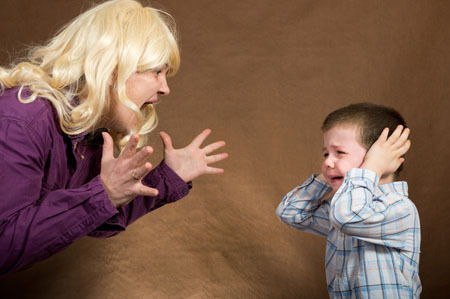 Having a parent with a mood disorder also contributed to an earlier age of onset of bipolar disorder. Editor’s Note: Researcher David J. Miklowitz and colleagues have shown that family focused therapy (FFT), which emphasizes illness education and communication enhancement within the family, is more effective than treatment as usual for children with a family history of bipolar disorder and a diagnosis of depression, cyclothymia, or bipolar not otherwise specified (BP NOS). FFT was particularly effective in reducing symptoms in children from families with high expressed emotion, suggesting that this kind of family-based intervention could reduce levels of verbal abuse. 1) Botox injected into each salivary (parotid) gland in doses of 50 IU. 2) Ipratropium, either sprayed under the tongue or intranasally. A 2004 case series by Oliver Freudenreich in the Journal of Clinical Psychiatry described sublingual administration. 3) Glycopyrrolate. In a 2011 article in the Annals of Pharmacotherapy, AM Bird described some treatments for clozapine-induced drooling, including glycopyrrolate. 4) The blood pressure drugs clonidine (50–100 mg) or terazosin. 4) Transdermal scopolamine patch. This is typically placed behind the ear to reduce motion sickness, but it also reduces saliva production. A study by Pinar Güzel Özdemir and colleagues in the Journal of Clinical Psychiatry indicates that bright light therapy may improve the effects of antidepressant venlafaxine (Effexor) in patients diagnosed with major depression for the first time. In the study of 50 inpatients, half received 150mg of venlafaxine at 7am each morning, while half received 150mg of venlafaxine plus 60 minutes of 7000 lux bright light therapy at 7am each morning. Beginning after the first week of treatment, both groups showed significant improvement in depression and negative mood states throughout the eight-week study. 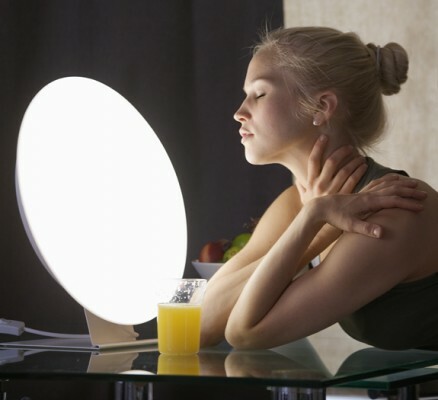 However, at weeks 2 and 4, the patients who received bright light therapy showed greater reductions in depression, with 76% reaching the target goal of treatment after four weeks compared to 44% of the venlafaxine-only group. Both venlafaxine and combined treatment with venlafaxine and bright light therapy reversed symptoms of depression, but adding bright light therapy may produce more rapid, stronger effects. Larger studies are needed to replicate these effects and determine whether they are long-lasting. In a proof-of-concept study presented at the 2015 meeting of the Society of Biological Psychiatry, Charles R. Conway and Peter Nagele showed that an hour of 50% oxygen/50% nitrous oxide reduced depression more than placebo as measured 2 hours and 24 hours later. 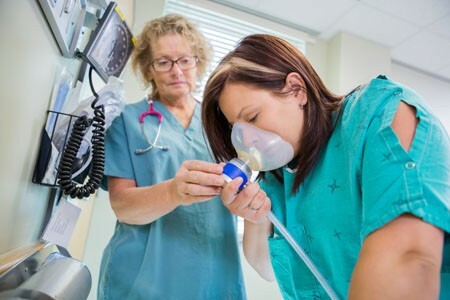 Twenty patients were randomized to receive the laughing gas combination or a placebo combination made up of 50% oxygen/50% nitrogen. In the laughing gas group, four patients responded to the treatment and three patients achieved remission, compared to only one patient responding in the placebo group. Like the anesthetic ketamine, which can bring about rapid but temporary antidepressant effects when delivered intravenously, nitrous oxide is an NMDA receptor antagonist. 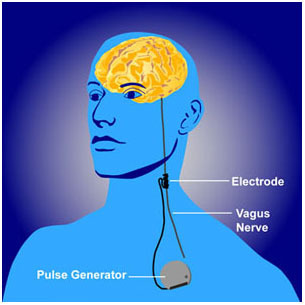 Vagal nerve stimulation (VNS) is an FDA-approved treatment for both seizures and depression that has resisted other treatments. It requires an operation for the insertion of a stimulator in the chest wall and electrodes on the left vagus nerve in the neck. A new study by Scott T. Aaronson and colleagues presented at the 2015 meeting of the Society of Biological Psychiatry observed severely depressed patients, 494 who received VNS and 301 who received treatment as usual in the community, over a period of five years. The patients who received VNS had greater response rates, they were more likely to have experienced remission, and their remissions lasted longer than those who received treatment as usual. Overall the patients who received VNS had lower mortality rates and suicide rates as well. VNS might be a good option for patients with depression that has not responded to most other treatments.